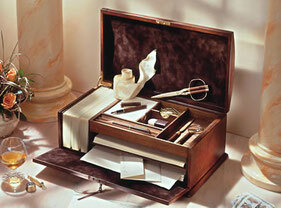 with 2 compartments for business cards and note paper. 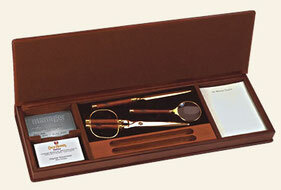 Letteropener, scissors and magnifier in separate velvet compartments. 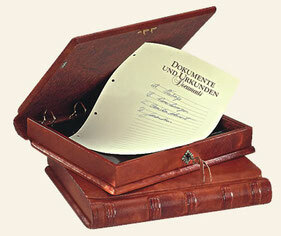 Equipment: 100 sheets A 4 ‘Bütten’, 50 envelopes (lined), chamois. 100 sheets of note paper. Fountain pen (25610), ballpoint pen (25620), scissors (21320), letter opener (21710), magnifier (21720). Contents: 100 sheets, 50 envelopes, note-paper. 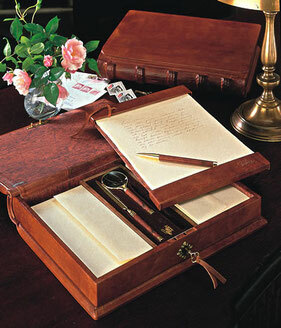 Contents: separate writing-pad, 50/50 sheets and envelopes, magnifier, letter opener and ballpoint pen. 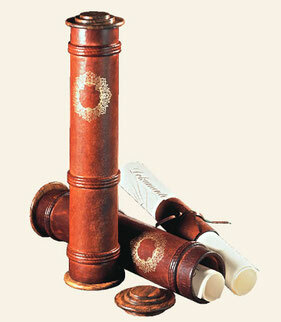 Documents’ scrolls are stylish receptacles to hold diplomas, Letters of appointment, Master-Diplomas and all kinds of documents. 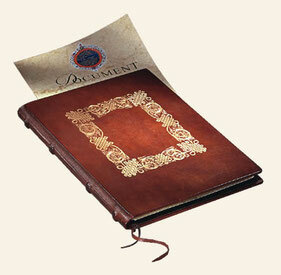 The exclusive ‘safe’ for all important private documents. With index and transparent covers.